Fairfield Inn & Suites Hazleton is a 100-room hotel located right off I-81, within the heart of Northeastern Pennsylvania. The property includes complimentary hot breakfast for all guests, high speed internet access and spacious guest rooms. The location provides access to many local attractions including Penn State University, Nascar at Pocono Raceway and Jack Frost Ski Resort. Hazleton, PA is home to 3 major industrial parks that include American Eagle, Forbo Flooring, AutoZone and Grupo Bimbo. 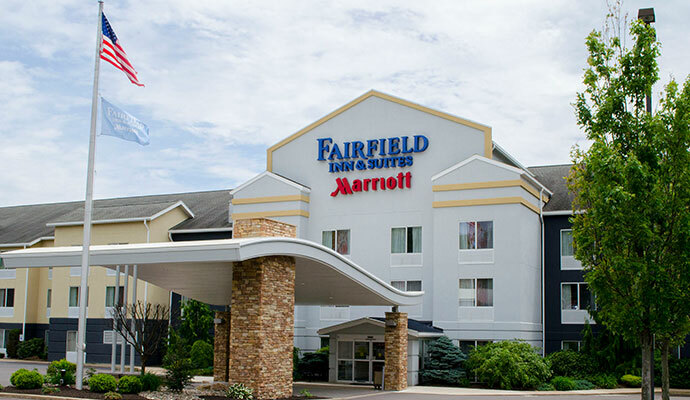 Fairfield Inn & Suites Hazleton has been recognized by Marriott as an award winning hotel for consistently providing excellent guest service.